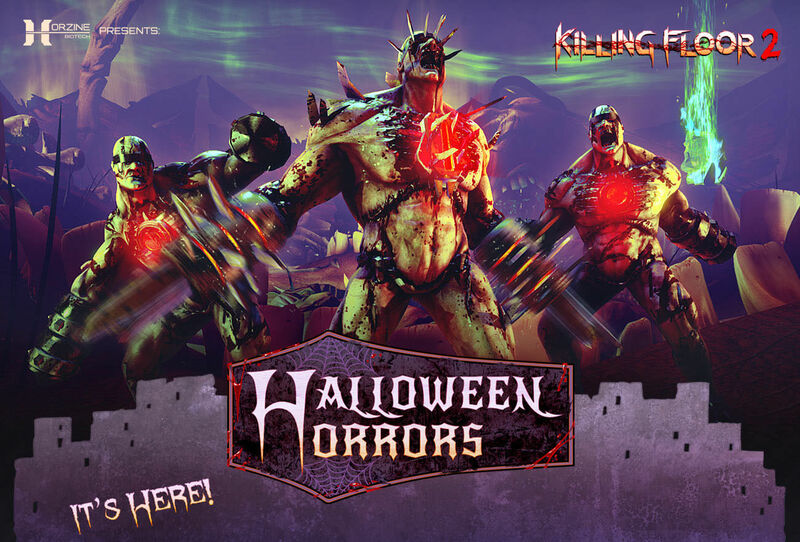 As if a game about killing zeds needs to be made more "Halloweeny"
Today marks the beginning of Halloween festivities in Killing Floor 2 as Tripwire Interactive just released the Halloween Horrors Content Pack DLC for its Autumn event. The Halloween-themed update includes a new map, weapons and boss plus a new “Dosh Vault system.” The patch also features cosmetic items and emotes that can be earned by completing daily and weekly tasks. There are even some new baddies to slaughter. The pack drops players into random layouts that are themed after different nightmares or phobias. Clowns, spiders, bones and other creepy minutiae adorn the maps. The new boss is not really new. It is a rebalanced King Fleshpound from the Poundemonium Weekly Outbreak mode. He and the “Quarter Pound” zeds from the same weekly event (also rebalanced) are merely being added to the regular survival mode. The Dosh Vault system is a way to reward players for their time in the game. Players will have a random set of daily tasks to complete. Doing so will earn Vault Dosh which is different from regular Dosh (the in-game currency). Vault Dosh is also different from Halloween Treat Tickets which can only be earned or bought during the Halloween Horrors event. Tickets can be used to purchase limited-time cosmetic items during the festivities. You can read about all of the additions in the patch notes. The Halloween Horrors content is available for PC and PlayStation 4 as of today. The pack will be released for Xbox One on October 24. If you do not already have Killing Floor 2, now is an excellent time to pick it up. In celebration of Halloween, Steam currently has it on sale for $14.99 while the PlayStation Store has it for $19.99 ($15.99 for PS Plus members).